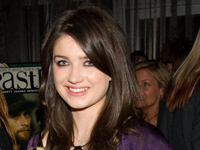 - Eve Hewson co-starred in the movie, The 27 Club. The movie premiered at the 2008 Tribeca Film Festival on April 26th in New York City. Eve attended the premiere with her mother Ali Hewson, and older sister Jordan.